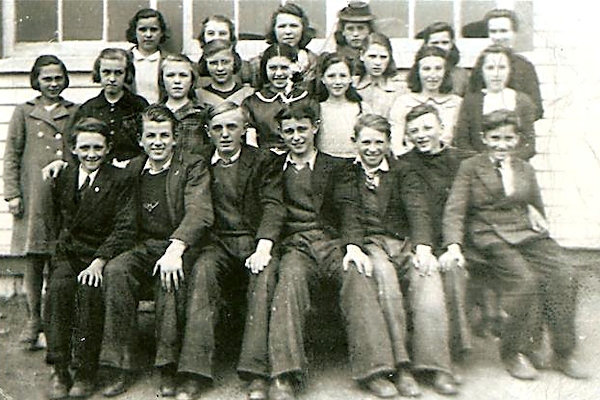 Cyril Fisher (Hubert J. W. Fisher's son) bottom row first on the left with black suit. Cyril was born and raised in Bonavista. Does anyone know who the other children are?